Nebraska will have more than 34,000 annual openings in high-skill, high-demand, high-wage jobs in the years ahead, according to the state’s Department of Labor. More than two-thirds of those will require higher education. And many of them are in STEM (science, technology, engineering and mathematics) fields that are critical to Nebraska’s future economic growth. Across all campuses, the University of Nebraska is putting strategies in place to address the urgent workforce needs facing the state, according to a presentation to the NU Board of Regents. The deans of the University of Nebraska-Lincoln College of Engineering, University of Nebraska at Kearney College of Business & Technology and University of Nebraska at Omaha College of Information Science & Technology reported to the Board on their efforts to grow enrollment, increase internship opportunities for students, develop programs that are responsive to workforce needs, and expand partnerships with industry that will attract and retain more top talent in the state. 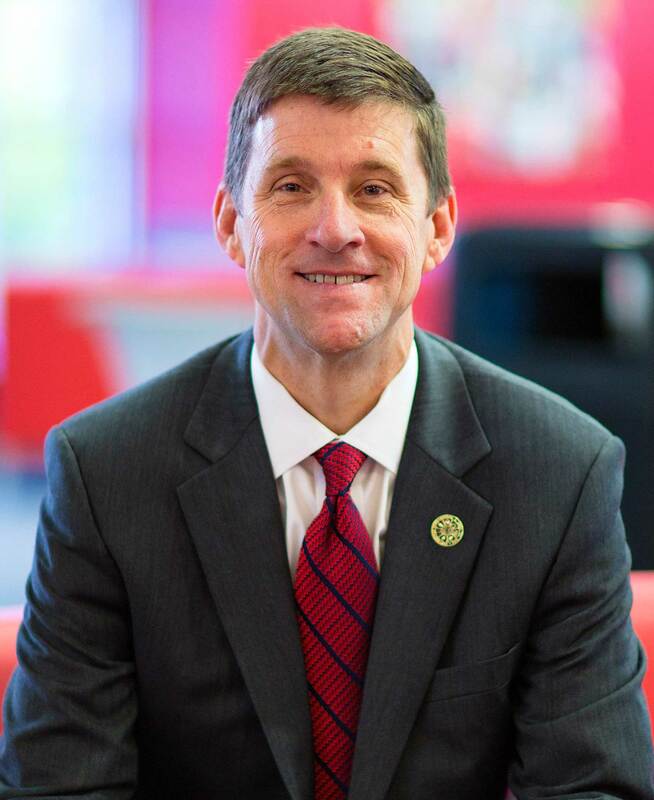 “Every time I talk to business leaders, they tell me their top three needs from the University of Nebraska are workforce, workforce and workforce,” NU President Hank Bounds said. “As a university, we’re laser-focused on meeting those needs. The good news is that we have the leadership, the talent and the commitment in place to succeed. Nebraska Department of Labor projections show that the state’s annual H3 job openings through 2026 include nearly 1,500 openings for registered nurses, 1,000 openings for accountants and auditors, hundreds of engineering openings, and 1,700 openings in IT-related areas like software development and computer system analysis. Needs exist across the entire state, as does demand for postsecondary education, Bounds noted. Nebraska has an opportunity to act now to close the gap, NU deans said. Perez pointed to efforts in his college to place students in internships as early as possible to prepare them for workforce success. Engineering students intern across Nebraska and at leading companies around the country, Perez said, and report starting salaries above $60,000 in their first jobs after college. Looking ahead, Nebraska projects double-digit job growth in fields like electrical engineering, computer and information systems management, and software development – with average salaries near or well above $100,000, Perez said. Electrical engineering, for example, will see 14 percent growth through 2026, according to the Nebraska Department of Labor, with average salaries of $90,000. The data makes clear there is “incredible demand” for more engineers in Nebraska, Perez said. To meet the need, the College of Engineering has goals in place to grow enrollment from 3,200 to 5,000, evaluate opportunities to develop new majors, and build the best undergraduate software engineering program in the country. “If we don’t get ahead of this, those jobs are going to go somewhere else, and that would be a real tragedy for the state of Nebraska,” he said. At UNK, faculty led the development of a new Cyber Systems Department after listening to local businesses about their needs and then collaborating to build responsive programs, College of Business & Technology Dean Tim Burkink told regents. The Cyber Systems Department will move into UNK’s new STEM building when it opens in the coming year. Burkink said the move will be “transformative” for the department and UNK campus, thanking the Legislature, private donors and community members for their partnership on the new facility. Burkink said almost 70 percent of students in his college complete an internship – “and I won’t be happy until that’s 100 percent” – and most have jobs lined up by the time they graduate. 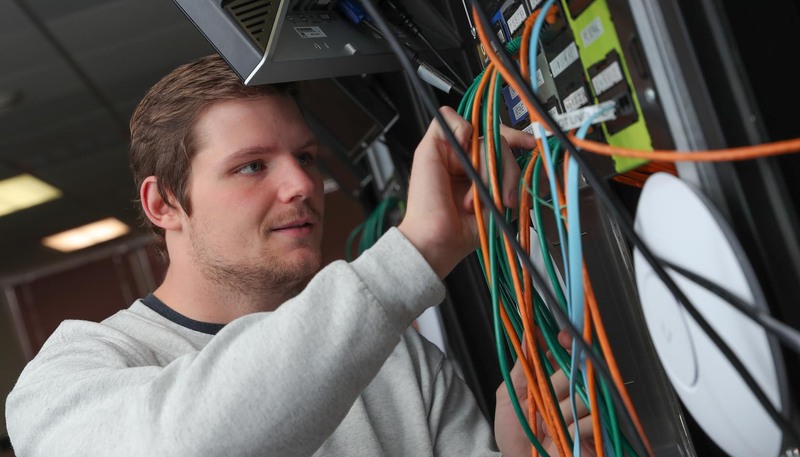 In fact, UNK computer science, information technology and management information systems majors had a job placement rate of 100 percent in 2017-18, Burkink said. Among Cyber Systems Department graduates, three-fourths are employed in Nebraska and half are employed in Kearney. Burkink said he often hears from local business leaders about the importance of having a university nearby with strong IT programs as key to their continued growth. 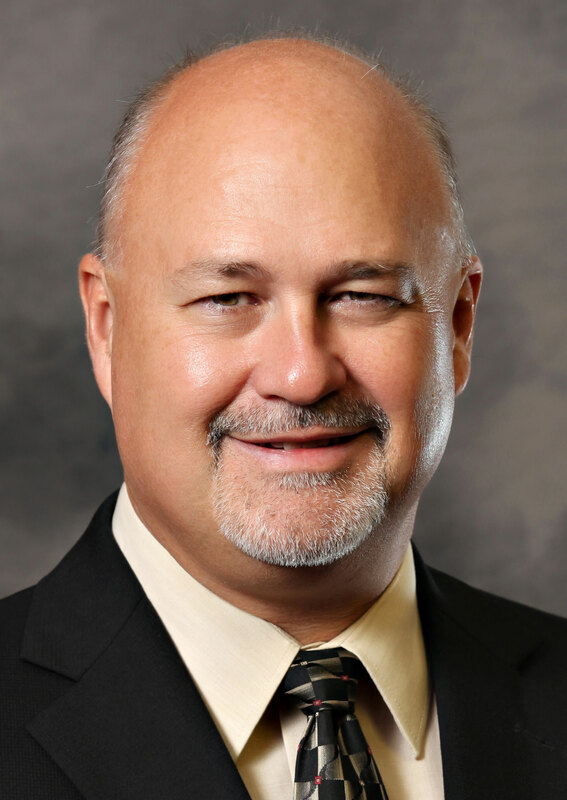 “My message is that we are really meeting the need, particularly in greater Nebraska and central Nebraska,” Burkink said. UNO also is working to meet the needs of its community, College of Information Science & Technology Dean Hesham Ali told regents, including the “incredible, explosive demands” in IT fields. In today’s technology-driven workforce, just about every field – medicine, agriculture, education, marketing – requires some mastery of IT, Ali said. 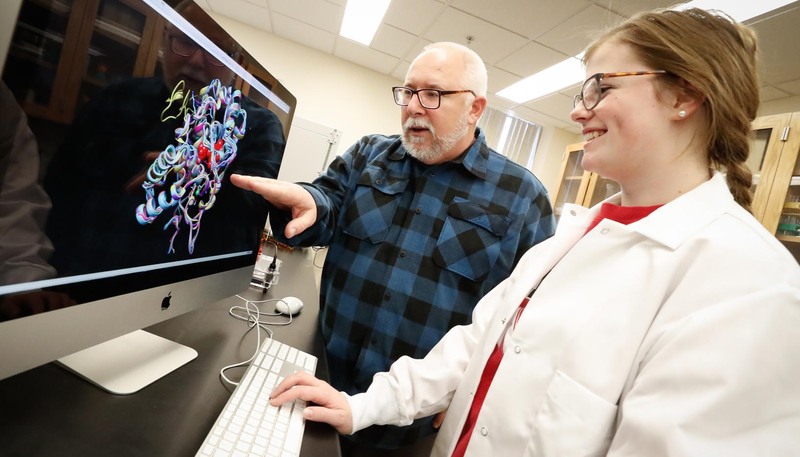 UNO’s College of IS&T has been on the forefront of anticipating workforce demands, for example leading the way in launching a bioinformatics program in the 1990s, Ali said. The college has grown its degree offerings from four to 14, some the result of innovative partnerships across departments and NU campuses to best serve students and the private sector. The college also is working to develop the future IT workforce. Partnerships with K-12 schools like CodeCrush, a STEM immersion experience for middle-school girls, are building the IT pipeline and raising awareness of UNO’s programs. Ali said the college’s broader Women in IT initiatives have helped the college double its female undergraduate enrollment in recent years – but more work needs to be done to expand awareness and access for other underrepresented groups. Other programs are creating new pathways for college students and working adults. The College of IS&T has worked with community colleges to strengthen transfer opportunities, and new professional development courses provide opportunities for working adults to acquire or refresh their IT skills. Among the college’s 1,400 students, more than 60 percent plan to stay in the region after graduating, Ali said. More than 80 percent were already working or had a job offer in the IT field at the time of graduation. He recalled a recent conversation with several students in his college who had jobs lined up so far in advance that they didn’t have to go through what is a familiar rite of passage for most students.